Applicants Must be a Player of Volleyball and Football or equivalent from a recognized Institute for Cochin Port Trust Recruitment 2018. 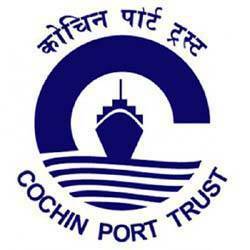 Eligible & Interested candidates can download the Notification form on the Official website page at www.cochinport.gov.in Cochin Port Trust Recruitment 2018. Applications enclosing Bio-data, self attested copies of certificates- showing age, education, sports achievements etc., should be sent to the following address….